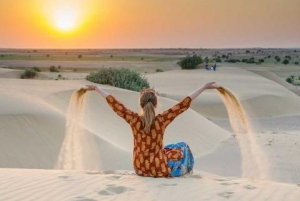 Led by one of the most amazing female guides, travellers will celebrate the female-only Gangur Festival in Rajasthan, with Rangoli making, henna painting, dance show, and traditional dress. Enjoy a home-cooked meal at the home of a local family in Delhi and explore Jaipur with the female rickshaw drivers. Shop for clothes, accessories and crafts in support of the development and empowerment of marginalized women and girls in Rajasthan and visit the center where they produce their creations. Finally, stop by a cafe run solely by female acid attack survivors and hear the heart breaking yet overwhelmingly inspirational stories of perseverance and strength. In the charming rural town of Nimaj, celebrate Gangaur Festival, a female-only festival celebrated in Rajasthan with post-fast feasting and traditional arts and crafts. Join the local women for Rangoli making, henna painting and a dance show. Take a jeep safari into the Thar Desert where you’ll enjoy an exclusive Kalbeliya dance performed by local women at our desert camp. After the performance enjoy some quality one on one time with the dancers while the gentlemen prepare dinner. Savour a home cooked meal at the family home of one of our amazing Delhi female staff members. Get to know her family, your leader, and each other over delicious home cooked food. Visit a local woman’s home and select a stunning saree and complimentary accessories to wear on your visit to the Taj Mahal, one of the most beautiful buildings in the world inspired by the extraordinary love of an exceptional woman. Support a cafe run solely by female acid attack survivors and hear the heart breaking, yet overwhelmingly inspirational stories of perseverance and strength. Visit Sambhali Boutique, an outlet for clothes, accessories and handicraft items produced by the women in the Sambhali Graduates’ Sewing Centre which focuses on the development and empowerment of women and girls in Rajasthan, many of whom have come from abusive marriages or difficult family situations. 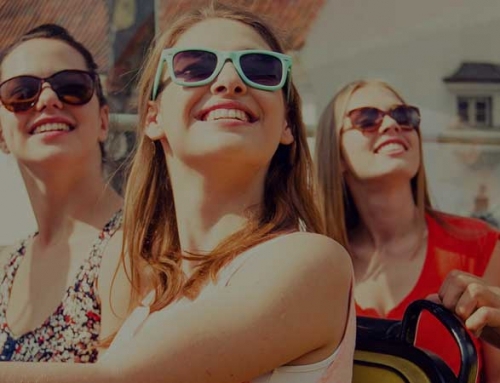 See the highlights of Jaipur on an environment friendly e-rickshaw ride while getting to know your female driver. The Pink City Rickshaw Company is a not for profit organisation that provides new employment opportunities and economic independence to women from low income households in Jaipur.